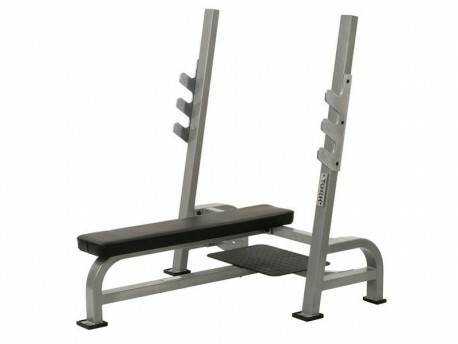 A commercial grade flat olympic bench that will stand up to heavy usage! 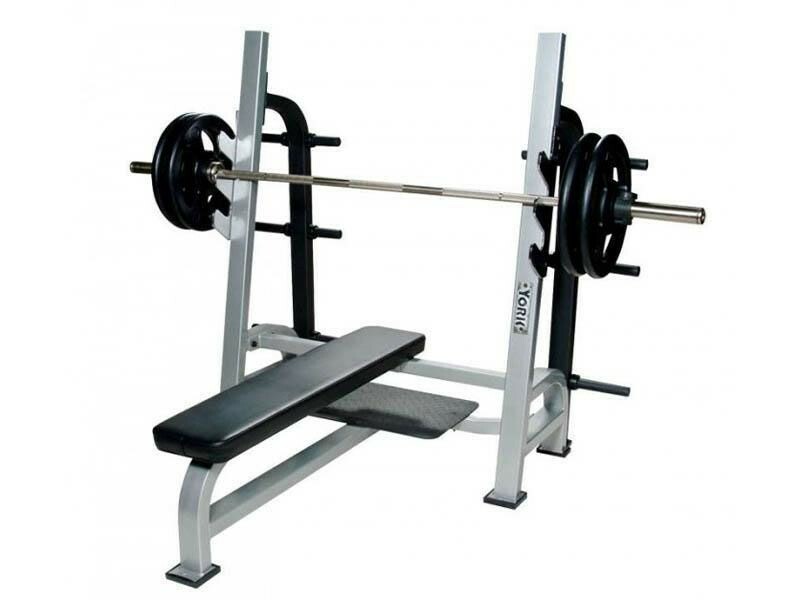 This bench has been improved by many years of experience and feedback from seven Olympic gold medalist lifters. Gun Rack bar holders, chrome plated for extended wear. Height of Pad off Floor: 17"
OPTIONAL - A rear plate storage add-on is available that includes 12 olympic plate storage posts to hold a ton of weight.